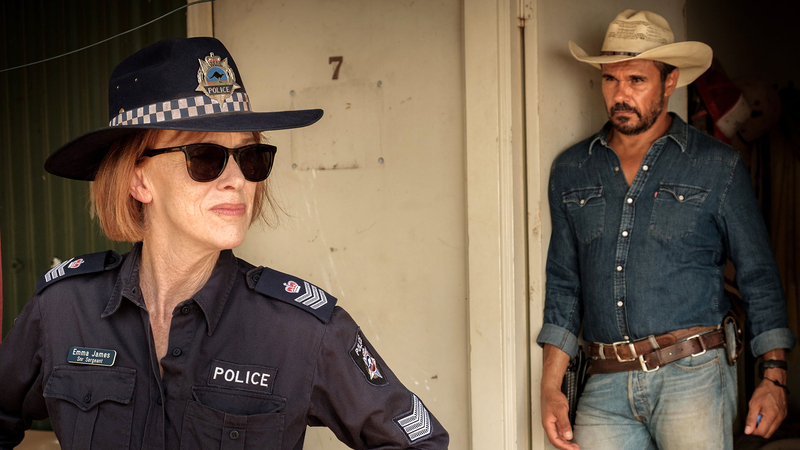 This entry was posted in Australia, By country, TV and tagged Australian crime, Mystery Road by Mrs P.. Bookmark the permalink. Oh, this looks so good, Mrs. P! I really hope it comes this way at some point. It’s a genuine treat, Margot. There’s also a film of the same name (which came first) – also very good. I found this show by accident a couple of weeks and I’m very glad I did so. Your review encapsulates so well my thoughts on the entire series. Thank you! I will just refer people here when they ask me for a rec or two. Even my mom liked it and I never recommend mystery type stuff to her, she just happened to show up when I had it on and got hooked. Margot- This is available in the US on Acorn TV or the Acorn TV Channel on Amazon. I subscribe to Acorn TV through Amazon so that’s where I watched it. It looks like the movie is available to rent/buy from Amazon as well but I haven’t seen it. Ha! I just figured out that The Code (series 1 & 2) is available on Acorn as well. I guess I’ll put that on the list for when I finish up Bang. Thank you for that review too! For that matter, I thank you for all of your reviews. I’m always happy to get notice of a new post. Thanks for passing on that info to Margot as well – very useful indeed. I hope you enjoy The Code when you get to it (I loved the first series in particular). There really has been some great crime drama coming out of Australia and New Zealand in recent years. I love the original film Mystery Road and thought this series was terrific. 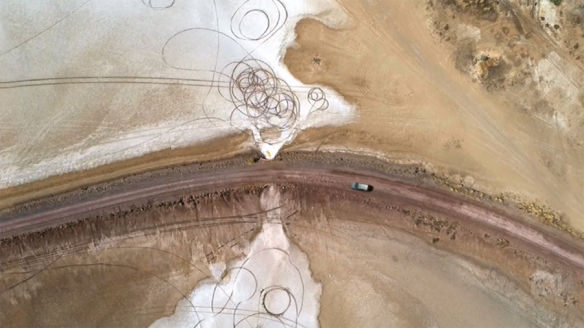 Goldstone, which was on BBC4 last weekend, is a sort of sequel to the first film and is superb – with some really stunning overhead drone shots too! Thanks for that, Caro! I hadn’t realised the second film had been shown on BBC4 (I managed to catch the first film before it slipped off iPlayer). Will try to watch Goldstone once I’ve finished the series. Couldn’t wait for this series, having enjoyed the original moody and atmospheric Mystery Road full-length feature film screened by the BBC a couple of years ago. (That is still available on the iPlayer and I’d advise anyone about to watch the 6 part SERIES to watch the FILM first if possible!) It gives insight into Jay Swan’s background and his complicated and often thorny relationship with his wife and daughter…. Another full length feature film featuring Det Jay Swan is Goldstone which aired on BBC 4 on Oct 13…presumably that’s on the iPlayer too! Hi Carole – thanks very much for that. I agree that watching the film Mystery Road is a great starting place, but unfortunately I don’t think it’s on iPlayer any more (it aired on 2 Sept). Could you let me have a link if I’ve got that wrong or missed something? Oh dear…very sorry if I’ve misled anyone. When they aired it again in September I wrongly assumed it would stay on the iPlayer for a lot longer! Never mind…as you say Mrs P, doesn’t spoil one’s enjoyment of the series! No worries, Carole. iPlayer’s mysteries are legion, and I often get tangled up in them! It would be great if they left stuff on a little longer. I loved this series, I can’t think of anything to add to what you say, Mrs P, apart from – doesn’t Aaron Pederson smoulder! Sorry to lower the tone. The first film was referred to in the series but it would have been better to have shown that, then the series, then Goldstone. I thought the fact that different directors were involved with the series and the film was obvious, Goldstone was a lot harder in atmosphere than the series. I shall look for the film of Mystery Road on line, but it is available on Amazon. I’m intrigued to see Goldstone now – quite a few people are saying it’s quite different in tone. I’ve seen it all, Mrs P, and really loved the depiction of the landscape – and some great acting. Good to hear, Christine – it really is all very beautifully done. I watched it on Acorn, and it was great! Afternoon Mrs P. I’ve seen Mystery Road the film a couple of times on BBC2, and thought it was brilliant. Then BBC4 picked up the series, and wow, I was glued to my telly. As well as an intriguing plot, the fact that the bulk of the cast were Aboriginals which was great to see, the camera work of the Outback and the overhead shots were amazing. I love Australian and New Zealand drama, crime especially. I just hope there’s more to come. Feet up tonight to watch Goldstone that I recorded. Can’t wait 😀. Excellent! Hope you enjoyed Goldstone, Kathy. Yup – Australian and New Zealand crime are really going great guns at the moment – hopefully more down the road soon, as you say.